In our era of hashtag activism, it's easier to complain about what's wrong with society and culture, rather than celebrating the more positive strides people are making everyday towards a better world. When it comes to the issue of diversity in film, one person who is certainly deserving of more praise is the multi-hyphenate film producer Ice Cube. Since his first feature "Friday" in 1995, to his latest installment in his Barbershop franchise, Ice Cube has always been savvy in his filmmaking exploits, with a finger on the pulse of the zeitgeist. Especially when it comes to bringing the African-American experience to the big screen, he has proven time and time again that he knows how to speak to that niche audience. In "Barbershop: The Next Cut", that voice is as strong as ever, touching on meaningful contemporary issues without sacrificing his ability to entertain. "Barbershop: The Next Cut" takes us back for another round of hijinks at Calvin's Barbershop. It's been 10 years since the last major fight to keep the doors open and things haven't gotten any easier. The surrounding community and the city of Chicago at large is plagued by rising violence, as gangs become more and more powerful in their attempts to claim their turf. With an impressionable young son growing up in this environment, the crime rate is of major concern to Calvin, who also has to worry about keeping his business afloat (now shared with a woman named Angie and her beauty salon). Inevitably, the violence starts to hit closer to home, creating a crisis that affects everyone, forcing Calvin and his gang to take a stand. But can their efforts really make an impact? Hot off the heels of Spike Lee's impassioned plea for peace in "Chi-Raq", this film tackles the issue of violence in Chicago head on. Like that film, the unending cycle of tragedy makes way for an attempted truce that seems doomed to fail. But similarly, the message becomes more important than the actual solution, as the film wears its heart on its sleeve to show how collective action can prove change. Indeed, the franchise has always been predicated on the power of family and community, whether it be Calvin and his employees, or the more literal family at the heart of the story. And the always reliable cast of actors take this to heart, creating believable chemistry that has grown increasingly effortless through the years. As expected, the highlight is once again Cedric the Entertainer's cantankerous Eddie, always dependable for a hilarious one-liner that seems to set the tone for the relentless laughs to come. 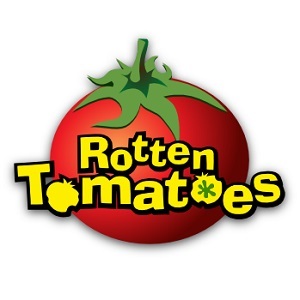 Along with Eddie and the other usual suspects, a number of new and colorful characters are introduced, including Nicki Minaj as Draya, Lamorne Morris as Jerrod and Utkarsh Ambudkar's Raja in the token non-black role as Raja. Admittedly, this new ensemble doesn't quite gel like the original team - mostly due to weaker character writing - but individually, they all add to the film's sharp dialogue-heavy dynamic. And indeed, the words written by Kenya Barris and Tracy Oliver bring up some interesting questions about blackness that prove why there's still life in this series of seemingly trivial films. Aside from the issues surrounding crime in the black community, the casually conversational premise allows the film to touch on deep topics without feeling heavy-handed. Among the topics discussed are the notion of "good hair", discrimination in a presumably post-racial America, the lingering effects of segregation and above all else, loyalty to the black community. By and large these discussions are handled with great humor and intelligence, but the latter aspect continues to be one of the franchise's most nagging misteps. Once again, a central conflict of the story is Calvin's secret plans to seek a better life for his family. And like the previous films, he's made to feel ashamed for his ambition. For a film that promotes black empowerment, it's disappointing and contradictory to see this character being stifled for purely sentimental purposes. Apart from this groan-worthy recurring trope however, "Barbershop 3: The Next Cut" is a laugh-a-minute crowdpleaser that is well worth your time. While it may not improve on the original, it is perhaps the most consistently funny and thought-provoking of the Barbershop films. Actor-producer Ice Cube has delivered another winner, one that should make Chicago proud and leave audiences longing for their next visit to this fine establishment. 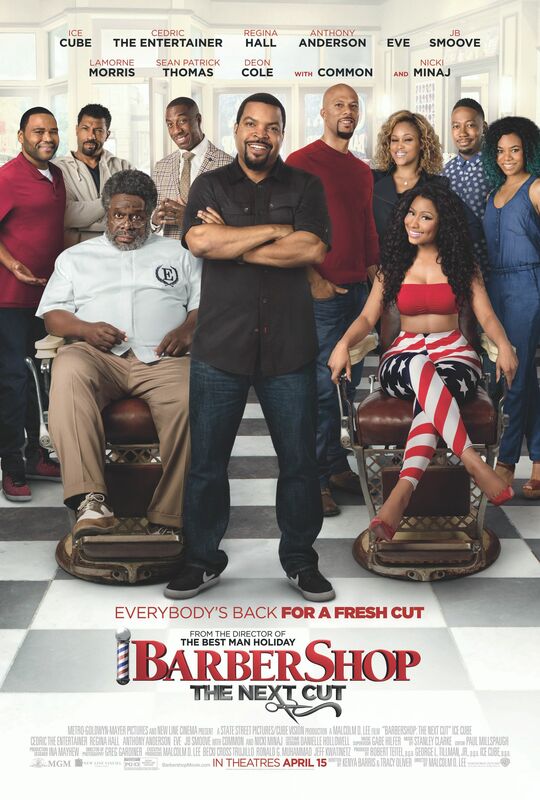 I think this is my favorite of the Barbershop films. Thanks Zach! It's definitely a good one.